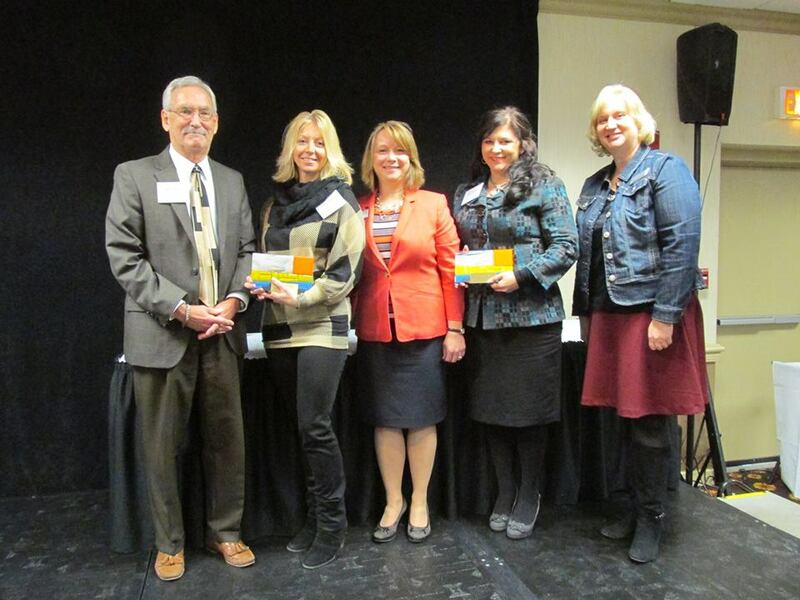 Posted on Feb 23, 2015 by Appleton Downtown Inc.
Appleton Downtown Incorporated was honored to accept the Partnership Award from the Fox Cities Convention and Visitors Bureau in 2015. The Partnership Award recognizes an organization whose work with the Bureau has been unusually strong and which has let to tangible tourism-related results. The award was presented to both Appleton Downtown Incorporated and Future Neenah. Since 2012, the Bureau has conducted press tours of the Fox Cities. From the beginning, these two organizations have played an integral part in the success of our press tours by securing commitments from many of our area restaurants as well as showcasing their shops and entertainment venues. These tours could not go on, nor the articles be written, without the cooperation and partnership of both of these organizations. Reblogged this on Fox Cities Blog.